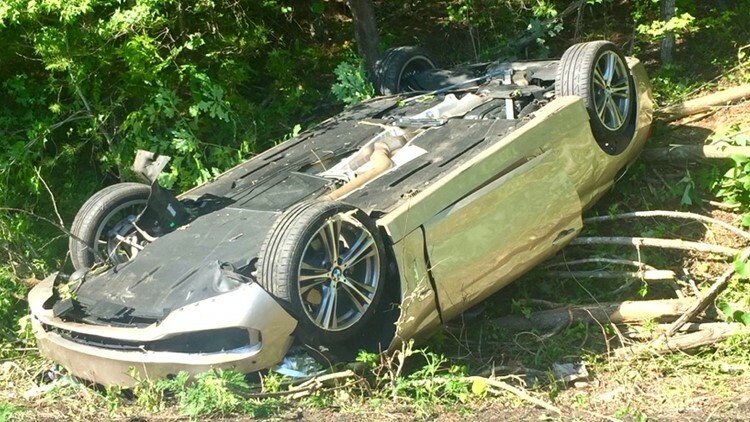 Ginger Dougherty flipped her car in May and nearly lost her life. Luckily, first responders acted quickly and cut her out of her car and flew her to the hospital. Ginger Dougherty crashed her car a few months ago, suffered severe injures and responders weren't sure if she would pull through. "He told us there was one patient pinned inside," Adam Daugherty, a Firefighter with the Oak Ridge Fire Department, said. First responders approached the scene to find a woman trapped in a flipped car. "Adam was able to pop the door open and get inside," Jason Benjamin, the Captain of the Oak Ridge Fire Department, said. First responders said they weren't sure Ginger would survive after witnessing her injuries from the crash, but she pulled through. "I was going to cat sit. I was going to take care of some cats for my family who had went out of town," Ginger Dougherty said. First responders who pulled her unconscious body out of the wreckage were in disbelief when they found out she survived. "We found out that evening she was alive when she made it to UT hospital," Jason Benjamin said. "I think I'm doing better. I still have some swollen places," Ginger said. 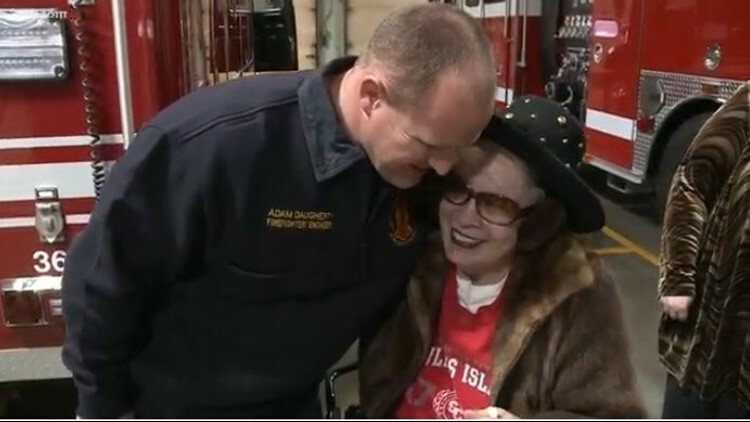 Ginger decided to visit the fire station to express her gratitude. "We don't do it so they come back and say thank you, but when they do it it's special," Jason Benjamin said. Inside the 'thank you' card was a check for $1,000 -- a token of Ginger's appreciation. For Ginger, though, the meeting itself was priceless. "It meant more to get hugged and be able to hug them, and that made a big difference," Ginger said. It was an emotional reunion that came from a near death experience. One that these brave responders will never forget. "The best way I can explain it is, 27 years of missing things with my family to do this job... it doesn't seem so bad," Jason Benjamin said. The Oak Ridge Fire Department said it plans on using the generous donation to fund training and buy smoke detectors to have on hand for those who may need one.